Atomizer vs Cartomizer vs Clearomizer - What's the Difference? Home Vape Tutorials Vape Guide Atomizer vs Cartomizer vs Clearomizer – What’s the Difference? Atomizer vs Cartomizer vs Clearomizer – What’s the Difference? Today，we will tackle one of the most puzzling questions in the area of e-cigs. Atomizer vs Cartomizer vs Clearomizer – What are the differences between them? At the end of this article, hope you can have a better understanding of them so you can make a wise decision when buying them yourself. Atomizer vs Cartomizer vs Clearomizer – How Do They Work? 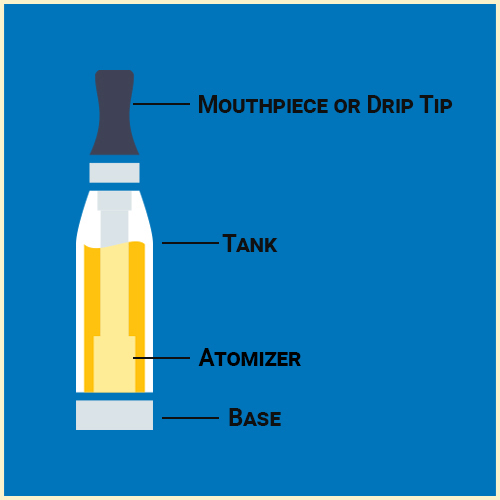 All e-cigs have some kind of atomizer. Both clearomizer and cartomizer use an atomizer to vaporize ejuice. The main difference between them is how the eliquid is delivered. All of the atomizers have at least two posts: one is positive and the other negative. These posts are connected by a coil attached to a wicking element such as silica or cotton. 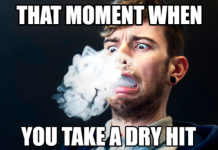 When you apply ejuice to the wicking material, it is absorbed through the process of osmosis, which keeps the material saturated until all the eliquid is used up. 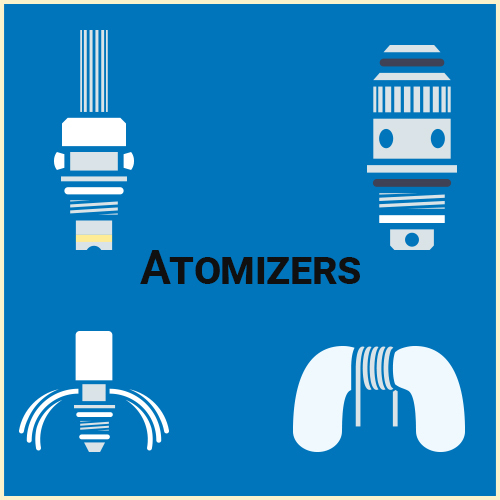 An atomizer is a device used to emit water, perfume, or other liquids as a fine spray. For vaping, this is the device which turns the ejuice into the vapor for inhalation. 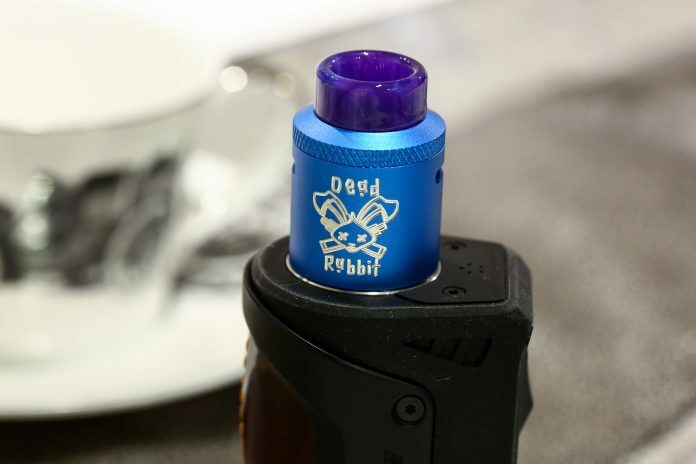 The majority of the vaping community refers to RDA (rebuildable dripping atomizers) or simply RBA (rebuildable atomizers). This eliquid delivery system takes a little extra work to operate, because the users have to either learn to wrap their own coils or buy pre-wrapped coils. RDAs also need the vapers to carry a bottle of ejuice to re-saturate the wick after around 5-10 drags from their vape. The advantages of using an RDA or RBA lies in flavor optimization, and a much more convenient way of changing tastes, which does not need to empty the tank. A cartomizer is a is a basic type of atomizer which often comes in a longer case. 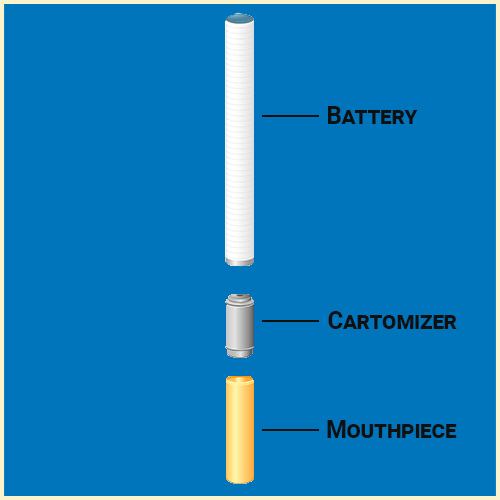 Cartomizers can be described as “extended atomizers.” The main design includes a single metal wire inside a metal tube, surrounded by an artificial filler which is known as polyfill. This polyfill makes sure the coil is surrounded by ejuice. In most cases, cartomizers can be found in one-and-done style e-cigarettes. Think about cheesy imitation cigarettes, then you will have a better understanding of what I am talking about. Cartomizers are refillable. However, in today’s vaping industry, the efforts involved in refilling and lingering flavor issues have made cartomizers outdated. That’s it, vape fans! I hope you now have a better understanding of what are atomizers, cartomizers, and clearomizers. I know it’s hard to figure out all the different aspects of vaping, but fortunately, you are in a great place to start! Be sure to check out our other articles. If you feel lost or have any question, please feel free to leave a comment below to let us know. Thank you for reading!